Loan officers’ jobs demand a blend of sales, communications, analytical and time management skills. 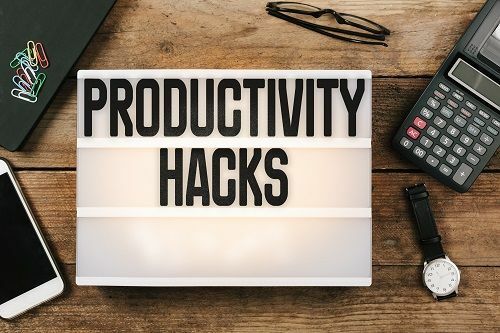 It can be a pressure cooker of stress from realtors, buyers, and attorneys… plus deadlines, quotas, missed opportunities and long work hours. That can make productivity and job satisfaction plummet. Fortunately, there’s help: Customer Relationship Management automation technology. Yes, we value face-to-face contact for its personal touch. Still, automating your LOs’ jobs as much as possible only makes sense. What can automation do for your company and LOs? Instead of having your LOs sift through new listings every day or week, CRM technology can do it automatically. Some CRMs even include For Sale By Owners. It should compile this information for your LOs and automatically generate marketing communications directed to those sellers. Your LOs shouldn’t have to touch a thing. The CRM can handle it automatically. So prospecting doesn’t get lost in the rush of other daily demands. This increased productivity means your LOs can drive more closings with zero extra effort on their part. As a result, your company’s bottom line swells. A CRM will also aid your LOs ability to network with, win over, and develop real estate referral partners. Once you win a customer, how do you keep them? One of the biggest challenges LOs face is the pressure to win new business while staying in touch with past customers who will become repeat customers. Staying front-of-mind with them. Typically once the loan is closed, the consumer never hears from their LO again. And that’s a giant missed opportunity–for other lending services, refis, subsequent mortgages and referrals. But what if you had an automated way to stay in touch with them without spending countless hours doing it manually? Best practices suggest you send birthday, holiday, and loan anniversary cards, newsletters, emails, referral requests and more. But in today’s crazy business environment, who has time to do all that? Answer: your mortgage CRM. Automation can take care of all of that for you. One of the first critical follow-up touch points with recently closed mortgages should be a survey for valuable feedback, which often gets lost in the shuffle. It’s easy to see why. After all, there’s the next loan to close. Mortgage CRMs can automatically send online surveys. And notify the LO when their client completes it. In addition, surveys should generate your net promoter score–an indicator of how likely someone is to recommend your company to a friend or acquaintance. Automation lets your clients share their testimonials with friends and connections via social media with the click of a button. Millennials typically won’t buy from you without seeing testimonials or positive reviews. Compliance issues can be a worrisome concern for mortgage professionals. The right mortgage CRM helps to ensure automated marketing is compliant. This protects your company, and you as a manager, from having to fret over every compliance snafu that could get you into regulatory trouble. Mortgage CRM technology solutions help your company improve productivity, job satisfaction, and referrals, while reducing turnover, assuring compliance, and enhancing work-life balance, because it automates so many of the functions that steal time and energy from the actual loan writing process–and thus from your company’s bottom line. Kirk King is president of Continuity Programs Inc. and president of the Michigan Mortgage Lenders Association Southeast Chapter. Continuity Programs helps lenders grow with easy-to-use CRM. 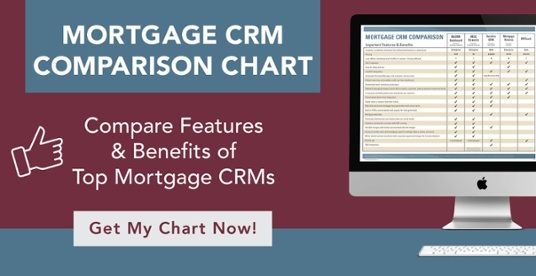 MyCRMDashboard, also known as MGIC Elements, is the company’s mortgage lead-generating CRM. Michigan Celebrates Small Business recognized Continuity Programs as one of the “Michigan 50 Companies to Watch” in 2017. To learn more about Continuity Programs, visit www.continuityprograms.com.